The BOLT Lock Coupler Lock or Coupling Lock can be used as a trailer lock or trailer coupler lock as it is a heavy duty coupler lock. It is master lock coupler lock that is weatherproof with the highest security for coupler lock. It is pretty much the best coupler lock in the market even without the Master Lock functionality, as it can be keyed alike because it is a self keying coupler lock. these can be used on ATV and motorbike trailers, Jet Ski Trailers, Boat Trailers Caravans as a Trailer Coupler Lock, Boat Coupler Lock, Caravan Coupler Lock, Coupler Locks. 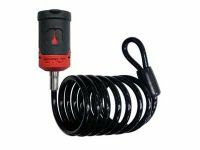 Please select the Coupler Pin Lock for your vehicle or if you don't want to use your ignition key, BOLT Lock Australia provides the Key for FREE with your purchase of the BOLT Key Range.